11 x 17 Expanding File Folders - GS Direct, Inc. 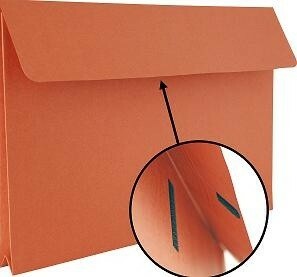 These Expanding File Folders expand up to 2" and will hold documents up to 11" x 17". The Velcro tab ensures secure closure. Folder deminsions are 18"L x 12"H.
Folder color is brick red.